Surya Narmada is a Post Graduate in Horticulture from Tamilnadu Agriculture University (TNAU). 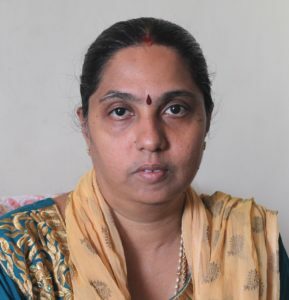 She is based at Chennai and provides freelance Horticulture consultancy since 2000. Her passion towards Arbitration and ADR made her to involve in it since 2005. She has immense experience in managing activities of an Arbitration and ADR Institution. She administered several arbitrations, both domestic and international. Her working knowledge in the field of Alternate Dispute Resolution (ADR) made her to utilize this service in agriculture industry. Her advisory service in this field includes inclusion of arbitration clause, drafting and vetting agreements, opinion to initiate arbitration, facilitating the parties to appoint arbitrator and expert opinion in agriculture and landscape industry and commodity contracts. She acts as mediator in several cases involving family matters, sharing of property and water and boundary dispute in lands etc. She had conducted seminars, workshops, training programmes and lectures to promote the innovative concepts of Arbitration and ADR in Agriculture Contracts. She had been listed in the List of Expert in WIPO Arbitration and Mediation Centre. In addition she had a wide range of media exposure. Her interview on Horticulture Therapy, Organic Farming and Marketing of Horticulture Produce were telecasted in various television channels.